1. What to invest in. 2. How much to invest. 3. When to make changes to a portfolio. Author Robert Carver addresses these three areas by providing a single integrated approach to portfolio management. He shows how to follow a step-by-step process to build a multi-asset investment portfolio, and how to rebalance the portfolio efficiently. He covers both investment in collective funds like ETFs, and also direct investment in individual equities. -- Why forecasting future returns is so difficult, and how to account for uncertainty when making investment decisions. -- How to accurately calculate the true costs of an investment, including costs that you may not even be aware of. -- How to select the best ETF for each asset class. -- How to compare the costs and other features of different ETFs. -- How to select individual shares. -- Calculating the number of shares needed for adequate diversification. -- How to use systematic forecasting algorithms to adjust portfolio allocations. -- How to cut trading costs through smart rebalancing strategies and execution tactics. Robert Carver also explains how to blend assets with different levels of risk, and how to construct portfolios that suit the level of risk that the investor can cope with. 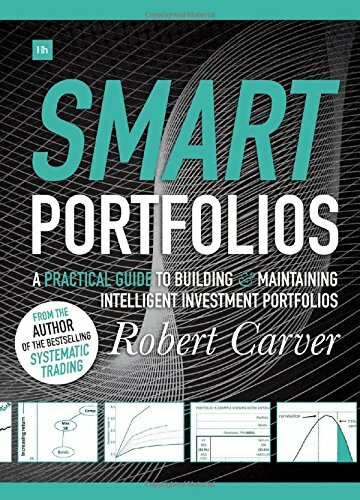 Smart Portfolios is detailed, comprehensive, and full of practical methods, rules of thumb and techniques, all fully explained with examples. It is intended for professional investors worldwide, including financial advisors, private bankers, wealth managers and institutional funds; as well as experienced private investors.